McCabe ran the FBI for three turbulent months last year, assuming the director’s job on an acting basis after James B. Comey was fired in May. McCabe was hoping to retire Sunday, when he becomes eligible for his full benefits. With his firing, he could lose a significant portion of those benefits. The bureau’s former No. 2 became a lightning rod in the political feud surrounding its probes of Hillary Clinton’s email use and President Trump’s alleged Russia ties. The NYT and the left are crying foul and blaming Trump but there is a Huge Problem pushing this narrative! The Office of Professional Responsibility is the one that recommended the firing! Attorney General Eric Holder named Robin C. Ashton to run the Office of Professional Responsibility in 2011! Not a Trump cheerleader I’m sure! This is LONG overdue. Too many in the FBI’s upper echelons were so anxious to protect their (to quote Mel) “phony-baloney jobs” that they let their zeal override their good judgment. McCabe is an example of that. This guy Sztrock (or however it’s spelled) should be next. I think it is very clear that the OPR and the Inspector General have compelling/hard evidence regarding McCabe’s lying to federal investigators on several occasions. Of course, there could be even more here than lying to the Feds. In short, McCabe and the Left can cry foul all they like, but only the brain-dead would pay much attention. Unfortunately, there are millions Pelosi-like, brain dead Democrats that both vote and can never be swayed by facts. It is the “fence sitters” - those willing to listen and evaluate the facts - that must be convinced, and before November. For that reason, the facts/evidence against McCabe must be brought before an independent trier of fact - heretofore known as a judge - in a court of law. In other words, criminal charges must be filed against McCabe in order for the kind of transparency this unprecedented situation demands. Unless the case is aired in open court, the Left and the MSM will have a field day with McCabe’s firing from now until the critical midterms in November. This entire fiasco regarding FBI/Justice Department partisanship and the potential tainting of the entire investigation and potential, if not likely, malfeasance by several principals conducting or overseeing the probe, requires the appointment of a second special prosecutor. As I see it, what we might well have witnessed here was an attempted coup d’etat - the nullification of the people’s election will - a full frontal assault on our most fundamental democratic process. And folks, it isn’t over yet. So it’s now “LEGAL” to tape conversations with the President without his knowledge? I doubt it. There aren’t any “tapes”. There may be “notes”, but I can make thousands of “notes” of conversations I’VE had with President Trump…and I’ve never met the man. Well PapaD, we can all rest easier now knowing you were present during whatever conversations McCabe and Trump might have had and can bear witness that nothing incriminating or even politically embarrassing was said. Again, we don’t even know if they had any private conversations, let alone anything about content that was/might have been addressed. 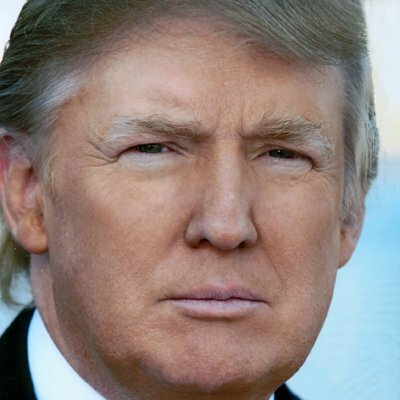 Believe me, if Trump is on tape making some outrageous, over-the-top, BS comment (as he often does) or questionable directive/suggestion to McCabe the Left and the MSM will go after him about it with a furry previously unseen - and millions of people, I would wager, most people - won’t give a damn about the legality of taping a private conversation without the other individual’s consent. Regardless, it is imperative that McCabe be charged and taken to court. Transparency and facts/proof made public, rather than salacious innuendo spread by every talking head, is key. BS, Doc. I never claimed to be present or privy to any conversations between these two…even if there WERE any. McCabe CLAIMS to have made “notes” of his conversations with the President. I can claim the same thing…and even produce “notes” about what we discussed. That doesn’t mean that the “notes” actually reflect what was said…or even “prove” that such conversations were ever held. I would think (though admittedly don’t KNOW) that surreptitiously taping conversations with the President is probably illegal. If those tapes are submitted as “evidence” and were obtained illegally, any competent judge will exclude them…and I would think that Mueller would know that. And I never claimed it was legal to tape a conversation when one had a reasonable expectation of privacy without the consent of the principals. Trump - politically - is an idiot who might say damn near anything without thinking of consequences. You would be correct about the illegality of surreptitiously taping conversations with the POTUS, PD. Unfortunately, most people wouldn’t care - not if Trump stated something outrageous or made an attempt to direct McCabe in the direction of the investigation. On the issue of this McCabe clown claiming he has notes of conversations between him and Trump . . . even if he produces them . . . and I understand Mueller wants them . . . I think the crux of the situation IS McCabe’s CREDIBILITY. His credibility is in the toilet. Whether those notes make Trump look good (which I seriously doubt) or they make him look bad (more likely), doesn’t much matter. I wouldn’t believe anything McCabe said, no matter what. Here’s my take. I didn’t see the underlying evidence that supported his firing. It may be true that he violated ethics codes. To my knowledge, he didn’t break any laws, something that’s been pointed out to me with respect to Trump’s behavior (the insinuation being that if Trump isn’t breaking the law what he does is ok)…But I digress. I’d like to see the underlying evidence. Having said that, Trumps “base” will love it, but I think a lot of other people see this as just pure meanness and retributive. The fact that Trump is rolling in McCabe’s grave is tasteless and, again, may play well with his base and people on this site, but it won’t play well with most others including me. Anyone can scribble ex post facto notes - they don’t mean much as far as I’m concerned. Tapes, as McCabe has intimated, if such exist - that’s a different animal. As for McCabe’s credibility. Well, let me put it this way; he has none - for OPR, made up of fellow Justice Dept staff, to recommend firing one of their own means they have clear and compelling evidence of AT LEAST unethical behavior - lying under oath. What else they have, IF ANYTHING, at this point is pure speculation. What isn’t speculative, in my opinion, is that Trump would be better off keeping his mouth shut and his hands off his tweeter and allow this thread to unwind and expose the rats nest that is the DOJ. The key here, as I see it, is Jeff Sessions - the man who is the AG in title only. Sessions must appoint a special counsel to investigate the real collusion here - that which took place within the Justice Department in what may well have been, and might remain, an attempted nullification of the 2016 election by members of our government - when that occurs in other countries we call that a coup d’état. Here’s my take . . .
Do you view McCabe as credible? Do you have an answer for my question above? Patience my friend, patience. As a matter of fact, I was crafting an answer when you asked. Work calls, but rest assured you’ll have the opportunity to scrutinize my answer soon enough. Mr. McCabe was questioned as part of a wide-ranging internal inquiry into the F.B.I.’s handling of the Clinton investigation and other matters. During the internal investigation, Attorney General Jeff Sessions said, Mr. McCabe “lacked candor, including under oath, on multiple occasions." According to FBI guidelines, that’s true insofar as I know. 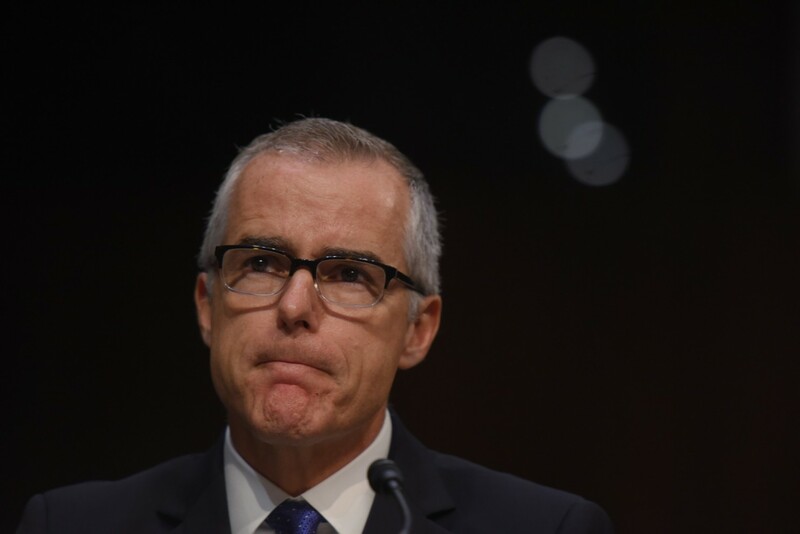 Was McCabe leaking information to damage Mr. Trump? Not that I’ve seen evidence of. I believe the dispute is over (at the time) newly discovered emails from Mrs. Clinton’s server and a dispute between the F.B.I. and the Justice Department over how to handle a separate Clinton investigation, one into her family’s foundation. I read that Mr. McCabe authorized an F.B.I. spokesman and lawyer to speak to The Wall St. Journal to rebut suggestions that he had put the brakes on the investigation. I also read that these types of interactions between journalists and government officials, known as “background calls”, are common in all federal agencies and administrations as officials try to correct inaccuracies or provide details and nuance before reporters publish information. The Journal ultimately reported that while Justice Department officials did not authorize subpoenas, the F.B.I. in fact had pressed ahead with the case, a detail that if anything was damaging to Mrs. Clinton, not Mr. Trump. Having said that, the fact that Trump has weighed in on this matter breaks a long-standing tradition that separates the Whitehouse from the Justice Department. Repeatedly attacking Mr. McCabe, a potential witness in the reports of conversations between Comey and Trump seems awfully suspicious. As a matter of fact, several people that were privy to Comey’s account of his conversation with Trump have seen varying levels of pressure. Jeff Sessions who is recused on all matters involving the Russia investigation and matters dealing with Clinton’s email just fired a man involved in both and in one instance his firing was directly related to one of those investigations. Why was he fired so quickly? F.B.I. disciplinary matters can drag out for extended periods, and it is not uncommon for officials to retire during that process. That did not happen here, and it is not clear why. The workings of the F.B.I.’s disciplinary office are kept confidential. Mr. McCabe’s lawyers say they were given little time to read and respond to the final report and were still receiving new evidence two days before his firing. Why the rush, they ask, if not to make sure that Mr. McCabe was fired? That’s my issue. It appears as though the President Pressured Sessions to fire McCabe as punishment for his perceived actions against the President. What’s the president’s beef with Mr. McCabe? Mr. Trump has seized on the fact that Mr. McCabe’s wife, Jill, ran for a Virginia State Senate seat as a Democrat and received hundreds of thousands of dollars in campaign donations from a political ally of Mrs. Clinton. He says Mr. McCabe should never have been allowed to oversee the Clinton investigation. He says the campaign donations are proof that a pro-Clinton bias within the F.B.I. explains why Mrs. Clinton was never charged. My biggest problem with this gripe is that it is hypocrisy of the highest order for Trump and his administration to point out conflicts of interest. I don’t like to point in other directions as a way to avoid having to deal with an allegation, but this is hilarious to the point of being sad. Looked at in a vacuum I admit there absolutely may be some questionable decisions made by Mr. McCabe, but taken in a broader context, it looks like the President is using his influence to punish his political rivals, something that scares me more than anything and something that most of the folks here at RO would be crowing about if the shoe were on the other foot. You mean the people who abused their government authority in an attempted a coup d’etat against his (duly elected) administration? Who betrayed the public trust to overturn an election because they didn’t like the result? These people CHOSE to break the law to play partisan politics with their positions. I have no sympathy and no mercy for them. My personal preference would be to see them stood against a wall and shot. The DOJ should be entirely disbanded. You mean you’d throw the baby out with the bathwater. It’s ok I guess as long as what remains is what you support. There is no baby. There is no bathwater. There is nothing left but raw sewage. Jeez, as impatient as you were, I thought you’d be all over my answer. Yes, life in America is just that bad. Our politicians are corrupt and self-serving and that led to a nation where lawlessness is everywhere. Where people don’t feel safe in their homes. People are staving in the streets! Give me a break. You guys see what you want to see.